A child was always at the heart of the biblical covenant. Already in the garden of Eden God promised that Eve's offspring would crush the head of the serpent, who beguiled her. Later God made a covenant with Abraham, promising that Sarah would bear him a child who would be the first of countless descendents. Then Isaiah spoke of a child who would be born of a virgin and be given the name "Wonderful Counselor, Mighty God, Everlasting Father, Prince of Peace." The New Testament tells of the fulfillment of that promise, and Jesus presents children as the model for his followers to emulate. The only way to enter the kingdom is with the humility and trust of little children. And there were shepherds living out in the fields nearby, keeping watch over their flocks at night. An angel of the Lord appeared to them, and the glory of the Lord shone around them, and they were terrified. But the angel said to them, "Do not be afraid. I bring you good news of great joy that will be for all the people. Lord, you were cradled in human arms and laid in a manger. How can I begin to understand a gift so unexpected? That someone so great would allow himself to become so small? Help me to follow you, like a little child, laying aside my pretensions and admitting my need. Help me to love you, trust you, and lean on you today, and thank you for showing me the way into your kingdom. Though the Israelites considered children a great blessing, they occupied the bottom rung of the social ladder. Entrusted with the solemn responsibility of teaching and disciplining them, parents were accorded nearly absolute authority over their children. To be a child was to be powerless, dependent, subservient. Yet even little children and young infants could receive wisdom from God and their lips could praise him. The prophet Isaiah spoke of a child, or yeled (YEL-ed), who would one day be born of a virgin and sit on David's throne. Luke's Gospel tells us that Mary, while she was yet betrothed, was expecting a child, or pais (PICE), and that she gave birth to him in Bethlehem. What images come to mind when you think of the child Jesus? Why do you think Luke mentions that Jesus was born in Bethlehem and that he was Mary's son? Why do you think God allowed his Son to be born in such humble circumstances and to be placed in a manger? For more from Ann Spangler, please visit her blogspot on Christianity.com. And be sure to check out Ann's newest books on AnnSpangler.com. 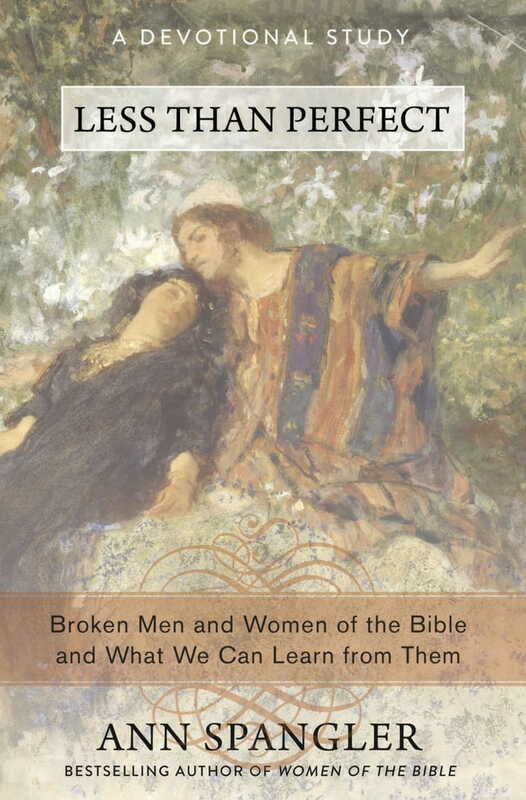 Meet your spiritual ancestors as they really were: Less Than Perfect: Broken Men and Women of the Bible and What We Can Learn from Them. Originally published January 01, 2018.